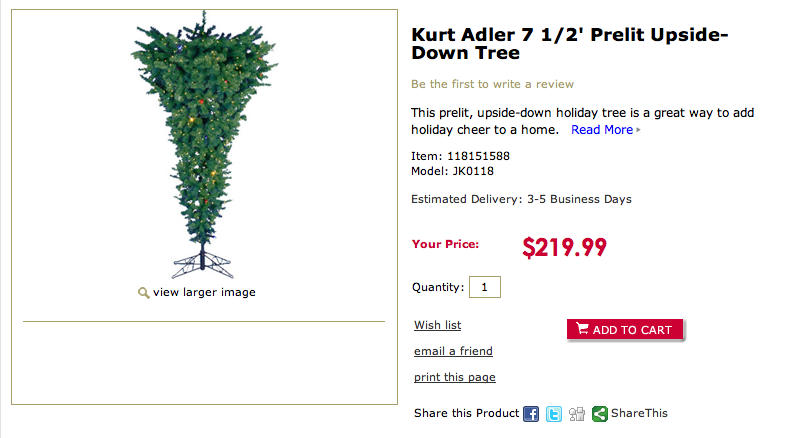 One, why would someone want an upside down tree? Two, it’s over $200?? I’m holding out for the gravity-defying Nativity scene because I really want a floating Jesus to make my Christmas complete. How did anyone even come up with this concept? It’s so ridiculous!